Bush machetes are the standard for machetes. They are an all time favorite for their versatility in the wild that has a simple straight-back design. The blade and length is evenly weighted and thick. 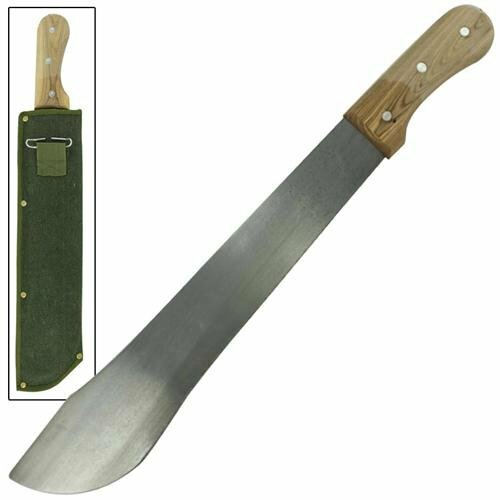 As the name suggests, bush machetes are great for cutting vegetation. It can be used for other scenarios from chopping meat to opening up a coconut shell. The Barong used to be a traditional weapon in some filipino tribes in the Philippines. They are distinct from other machetes through its slim leaf-shaped blade. As a blade it does everything a machete can do for utility work. What makes the barong a bit unique from other machetes besides its shape is that it had a historical significance in combat. The Kukri is a favorite among machete collectors because of its 3 part blade that makes the kukri very useful for many kinds of situations. The three part blade has a sharp tip for piercing, a wide mid-section for hacking, and a thin area near the handle for carving and shaving (not shaving for your face!!!). The Kukri is used mainly as a utility tool in the outdoors but is also very effective for self defense. The Kukri is commonly issued to soldiers in Central Asia (India, Nepal, Tibet, and etc.) and favored by members of the British special forces. 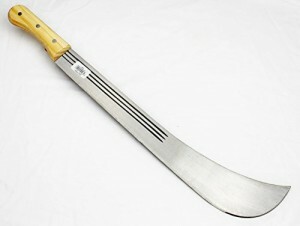 The Bolo is similar to the bush machete, which originates from South East Asia. What makes the Bolo different is its thicker blade especially at the tip, which adds weight to give more hacking/chopping power especially on hard elements such as wood. The Bolo is great for cutting down vegetation. The Cane Machete looks like a saw. 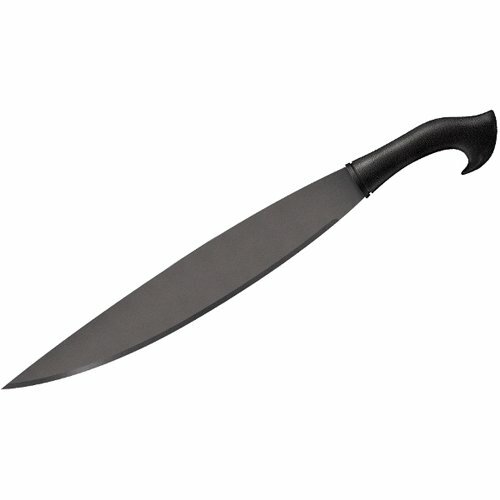 This type of knife is different from a saw because it doesn’t wobble like a saw. Compared to many kinds of thick blades, this tool is perfect for hacking cane stalks. 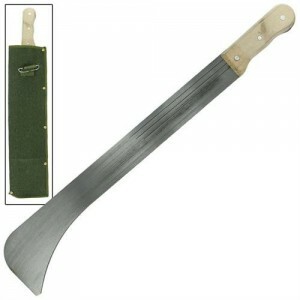 The wide blunt-tipped machete is used for cutting sugar cane and corn stalks. The blade thickness is quite thin that allows easy “slicing” through thick vegetation. 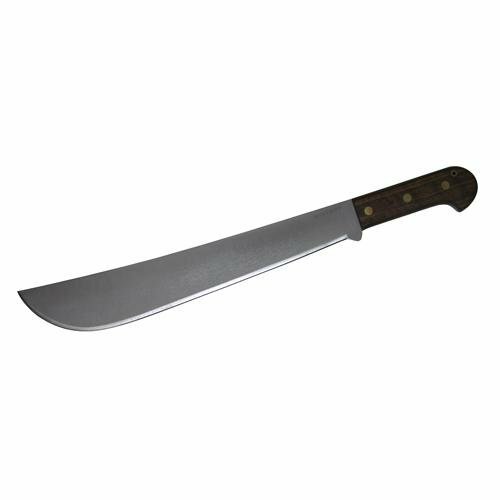 The Panga looks similar to the Bolo but is commonly used to cut thick vegetation. 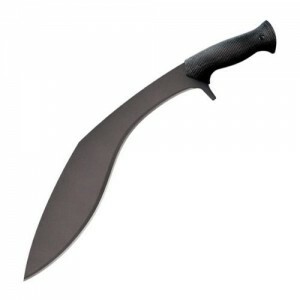 The panga, like the Kukri, has a pointed tip for stabbing through hard materials. Originating from Africa, this particular blade is great for outdoor use because the curved mid-section provides a nicely weighted force for effective chopping and slicing. The Hawkbill has a distinct curving (concave) blade with a claw-like edge. The design of the blade makes it convenient for cutting and gathering vegetation. Users cut the vegetation and use the hook through a raking motion to collect cut materials. The hawkbill like most knives has both utilitarian and martial applications. Sharp Machete © 2019. All Rights Reserved. SharpMachete.com is a participant in the Amazon Services LLC Associates Program, an affiliate advertising program designed to provide a means for sites to earn advertising fees by advertising and linking to Amazon.com.